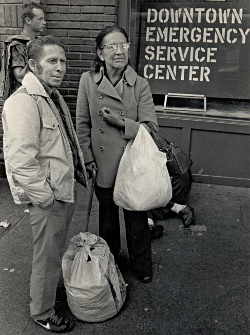 The Downtown Emergency Services Center (DESC) started in November 1979 as an emergency overnight shelter in the ballroom of the Morrison Hotel in Seattle’s Pioneer Square. 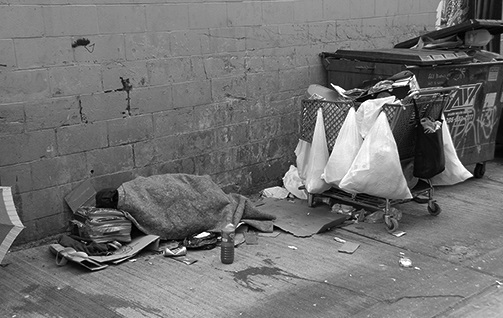 A small staff served nearly 200 chronically homeless Seattle adults that, “due to their severe and persistent mental and addictive illnesses, were not being served by the existing shelters of the time,” according to their website. 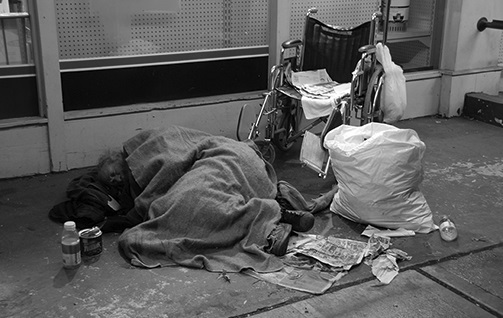 Over the next decade, DESC partnered with the City of Seattle, the Greater Seattle Council of Churches, and Washington Advocates for the Mentally Ill to assess the shortages in providing resources for the vulnerable homeless people in the community. The organization rallied in 1984 to create the first severe weather overflow shelter in King County. Phil Spelman was a former volunteer and staff member at DESC for more than 5 years while he studied psychology at Seattle University. 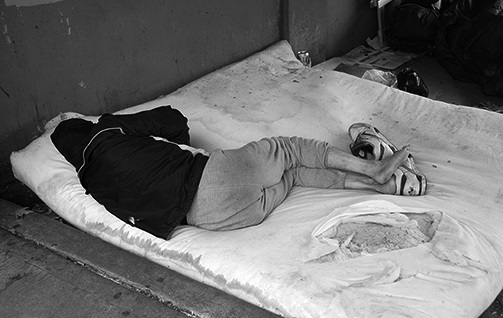 “What DESC was originally was exactly that – an emergency overnight shelter,” he says. 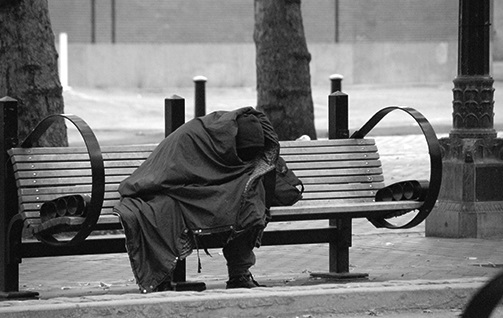 “My understanding and involvement in DESC is to end homelessness.” When the organization began to expand beyond the original overnight shelter, it created supported housing and outreach programs. One example is Connections, a facility where higher-functioning adults can take a shower during the day, use a computer or learn how to write a resume as part of a job training opportunity. During his time at DESC, Phil says that his perspective and understanding of the adults living with behavioral health disorders and chronic homelessness that he worked with every day “shifted from ‘these are homeless people’ to ‘these are highly vulnerable, afflicted individuals.’” Most of the folks that he encountered there had diagnoses such as paranoid schizophrenia, along with chronic health problems that come from long-time homelessness. “When I took abnormal psychology, I learned a lot about the conditions that I had seen in real life when I was working at the various projects,” he says. When Phil first started volunteering downtown, he spent part of his time working at Connections, washing clothes, serving food, handing out mail and toiletries, and interacting with people. “The main shelter worked as a mailing address for a lot of people. Not only for job applications, but to receive a social security check or their disabilities income,” he says. This entry was posted in Expanding the Scope of Now, Interview, The Seattle Scene and tagged 1811 Eastlake, Downtown Emergency Services Center, Evans House, Program for Assertive Community Treatment (PACT), Vulnerability Assessment Tool (VAT), Washington Advocates for the Mentally Ill. Bookmark the permalink.